Looking for a quick snack or an easy appetizer for entertaining? 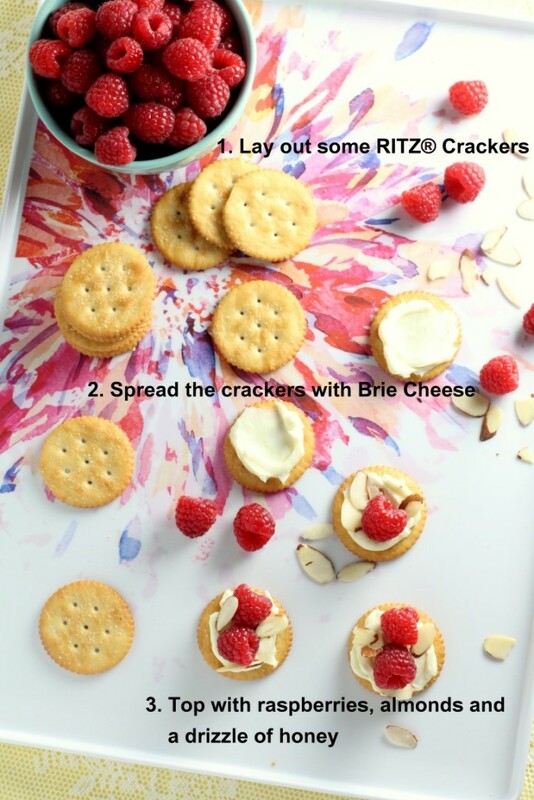 These raspberries, brie and almonds topping these RITZ® Crackers couldn’t be easier to put together. Click HERE to enter the Snackify Challenge with your own RITZ®-topped creation for a chance to win a $100 Gift Card! 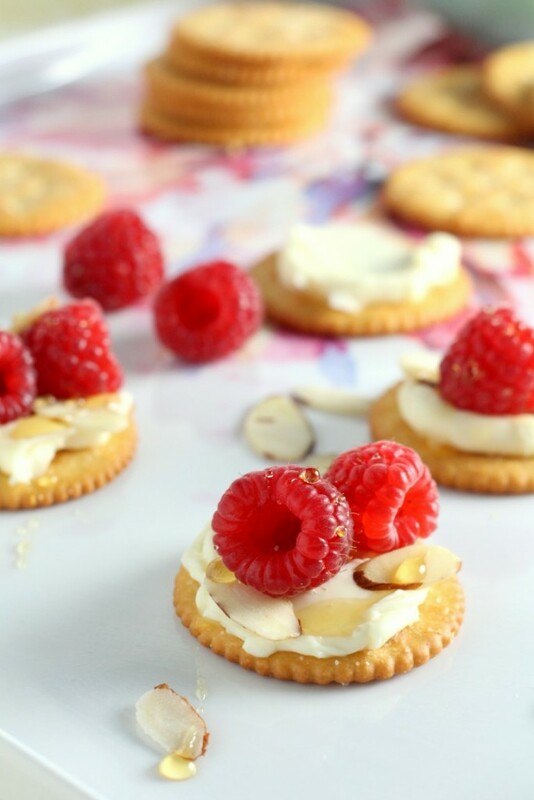 Right now, I’m in love with this raspberry, brie and almond combination on these RITZ®. The saltiness of the cracker is amazing with the brie and the slight sweetness the raspberries and honey give. Are you ready to make your own? First, stop by Walmart and pick up the ingredients (thankfully for me there is one right by work). Then when the craving hits, or you have unexpected company and want to pull out the simple and delicious, you have all the ingredients on hand to make a yummy snack. 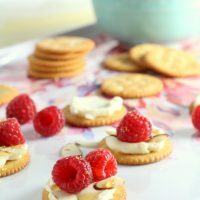 If brie cheese isn’t your thing, cream cheese is also simple and also great with the crackers, raspberries and almonds. Having a fancy tray to lay the ingredients and crackers on also makes the experience more fun. These appetizers are best the day they are assembled, but save the extra ingredients to enjoy some the next day too. 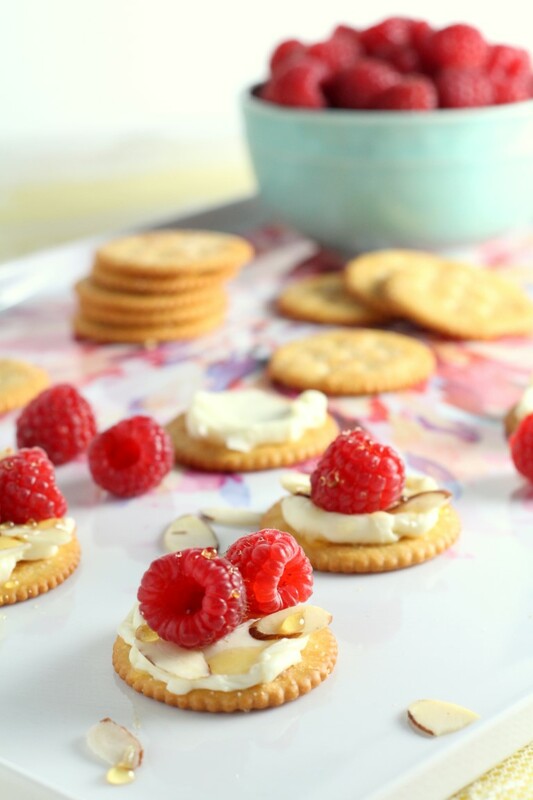 These Raspberry, Brie and Almond topped RITZ® crackers are an easy, but fun appetizer that feels fancy. Lay out the RITZ® crackers on a tray. A pretty one makes it so much more fun! Spread each cracker with a generous amount of Brie. Then top with a few raspberries, sliced almonds, and a drizzle of honey. These are best enjoyed the same day they are assembled. 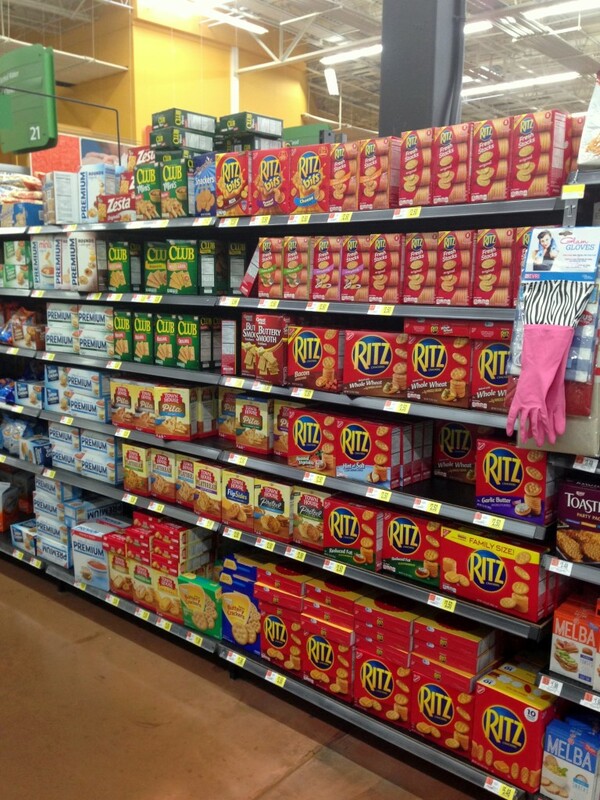 I’ll pretty much eat anything off a Ritz cracker. What a winning combination! This looks exactly like what I’d put on a Ritz!! These are so perfect! Love brie and fresh fruit! Such a great flavor combination! My husband is a huge fan of raspberries. I will have to make these for him.